Beginning with Volume 9(2), the newsletter from Iowa’s Center for Agricultural Safety and Health started adding news from The Great Plains Center for Agricultural Health. 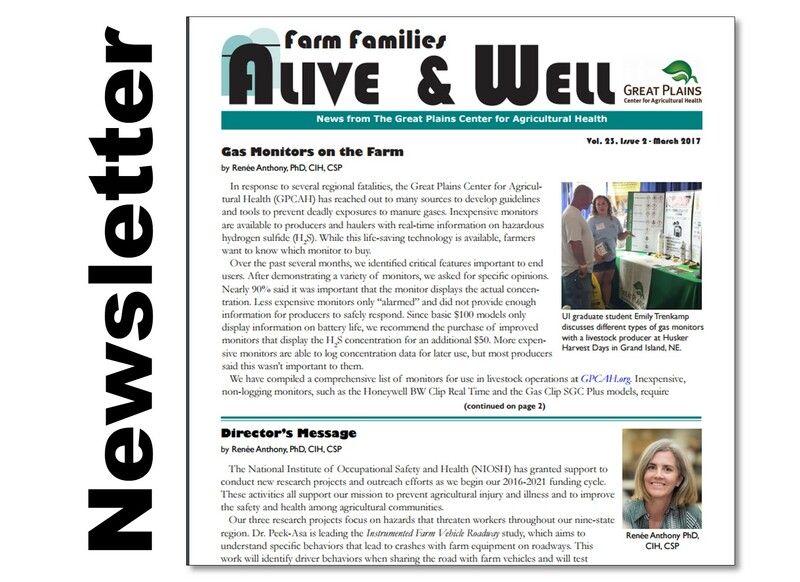 The joint newsletter title is now “Farm Families Alive & Well.” It is published four times per year and is available in both print and PDF format. To be added to the print and/or email mailing list, contact kay-mohling@uiowa.edu.